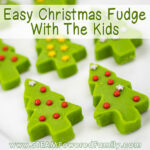 These fun and easy Christmas Tree fudge treats look and taste amazing! 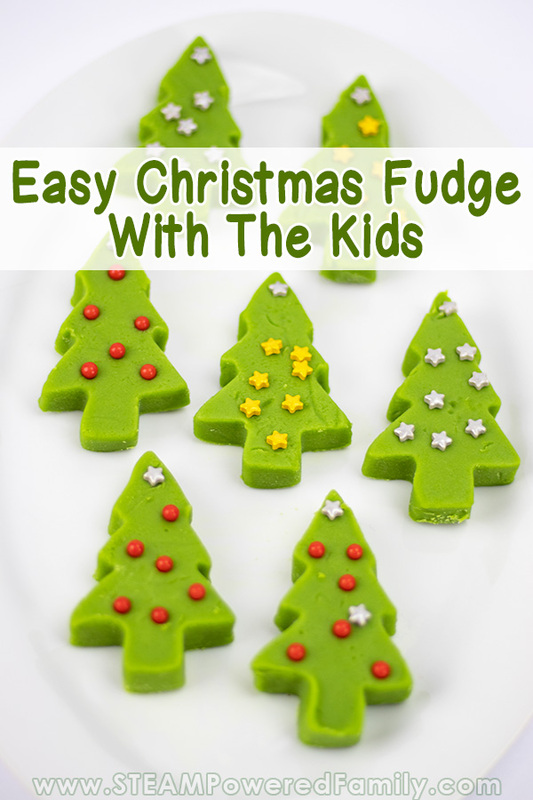 Kids will love helping make this fudge recipe and sharing it with their loved ones… or eating it all themselves! 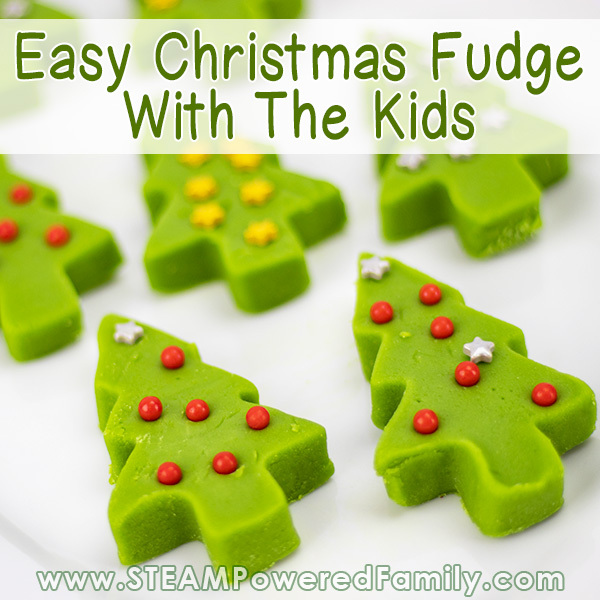 The best part is that they make a fun kitchen science project to do with the kids during the holidays to sneak in a little extra learning. As with any kitchen science and kitchen work, ensure you are being safe at all times. With this recipe we are working with sugar at high temperatures. This could cause burns. Ensure appropriate adult supervision is provided at all times. And remember kids can learn still by watching some of the steps that they may not be mature enough yet to do themselves. 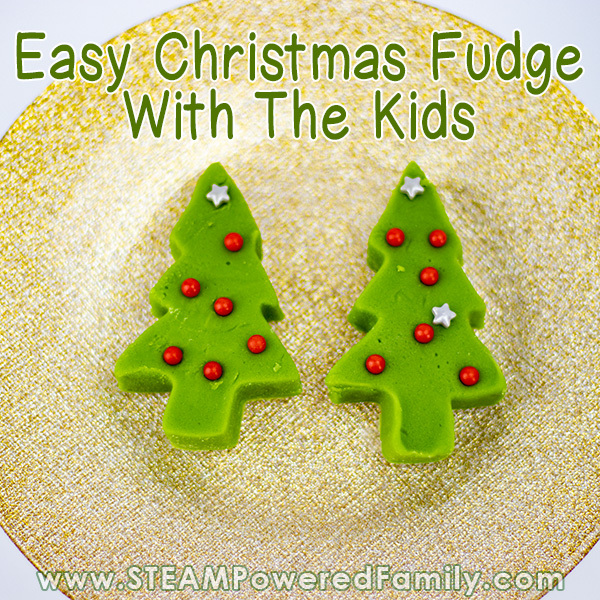 Younger kids will still love helping cut the fudge and decorate the pieces. You know your kids the best, their safety always comes first. 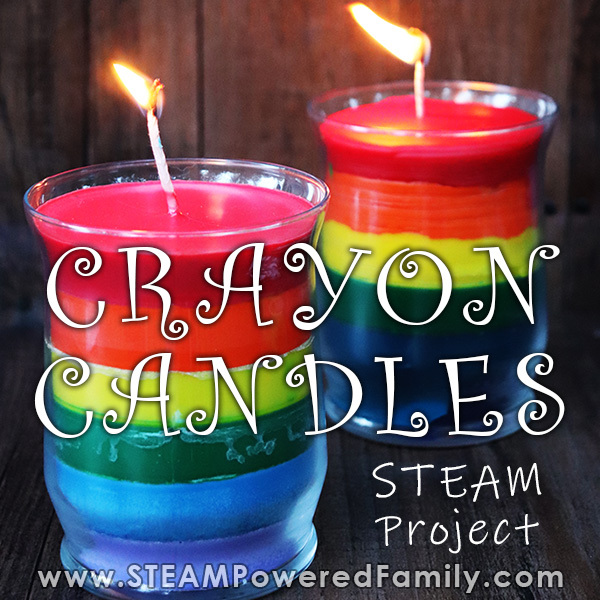 This project is a fantastic Christmas STEAM activity for your kids. We are working with some fantastic science, I mean what kid doesn’t love candy science? Plus technology and temperatures with our candy thermometer. Finally we create little works of art with our final decorated Christmas trees. 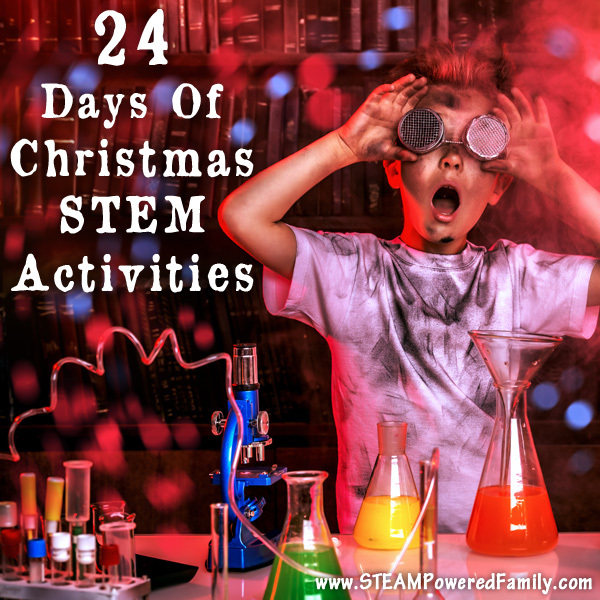 Lots of STEAM learning fun for the holidays! We’ve made lots of fudge in the past, it’s one of my favourite treats. 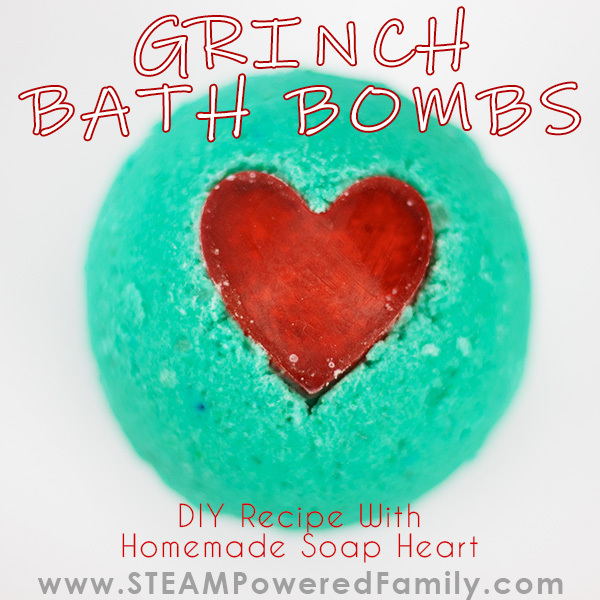 Once you figure out how to make it, it’s quite simple and fun. Plus fudge always tastes the best when it is fresh. 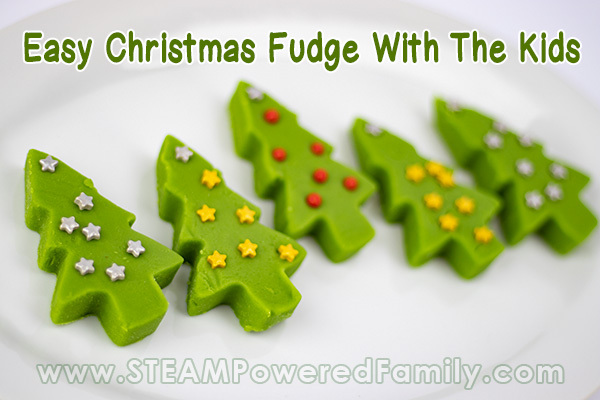 It this activity we are creating fudge. Fudge is a crystalline candy meaning that we want crystals to form in our syrup. However, unlike rock candy where we allow the sucrose crystals to grow large, we need to control the growth of crystals vigorously. We do this by adding butter and cream to inhibit the crystal growth and by beating the syrup as it cools down. 1. Melt the sucrose (sugar) to 116C or 240F (soft ball stage in candy terms). 2. Keep from jiggling our syrup as it cools until it reaches a temperature where the crystals start forming again and then beat the mixture until it thickens. I find the best temperature to be around 75-80C or 160-176F. Put the butter, sugar, and cream in the saucepan and heat to a simmering boil, stirring all the time. Use medium low heat to avoid scorching the fudge. Place the candy thermometer into the mixture making sure the bulb at the bottom does not touch the bottom of the pan. Stop stirring the mixture at this point and allow it heat to reach 116 degrees centigrade. Pro Tip! Make sure you are using your candy thermometer properly. Not sure how to use it? Read more in our Candy Science article. Remove from the heat and carefully pour into a bowl (it is very hot!). The reason I suggest pouring the mixture into a bowl is to stop the syrup heating from the hot pan. It does require that you decant as smoothly as possible with no scraping of the pan as this will cause crystals to form before we are ready. Don’t forget our fudge science we discussed earlier! Making fudge is all about controlling crystal formation. Let it rest for a few minutes for the mixture to cool a little until it reaches 75-80C degrees. Add the vanilla and begin to beat the mixture as it cools down. Beat until the mixture thickens about 7 – 10 minutes. Yes this is one heck of an arm work out, but just think of all the calories you are burning so you can enjoy more of your delicious fudge! Pour into the baking tray and allow it to set at room temperature. This takes 2 to 4 hours. 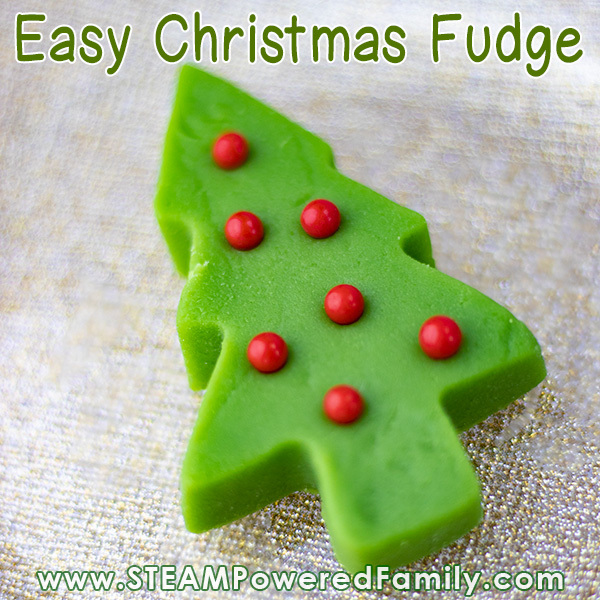 Carefully turn out the fudge and using a metal cookie cutter cut out tree shapes. Decorate with candy sprinkles. If you think these will last more than a few hours, store in an air tight container at room temperature until you are ready to eat them. Remove from the heat and carefully pour into a bowl (it is very hot!). The reason I suggest pouring the mixture into a bowl is to stop the syrup heating from the hot pan. It does require that you decant as smoothly as possible with no scraping of the pan as this will cause crystals to form before we are ready. Don't forget our fudge science we discussed earlier! Making fudge is all about controlling crystal formation. Add the extract and begin to beat the mixture as it cools down. Beat until the mixture thickens about 7 – 10 minutes.